Leaves, plants, and butterflies fill The Life In Technicolor Ketubah with a beautiful spirit combining nature, color, and the best of modern design. The organic feeling of this Ketubah powerfully joins cool background tones with splashes of eccentric foreground colors. Created for the whimsical at heart (and just maybe couples who love to escape to the countryside for the weekend! 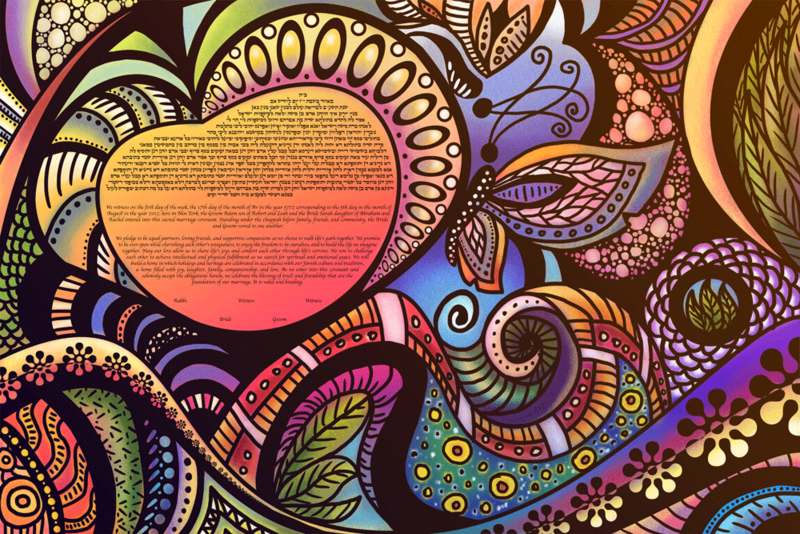 ), the Life in Technicolor design isn’t your average Ketubah, but for the couple that truly loves all things modern. 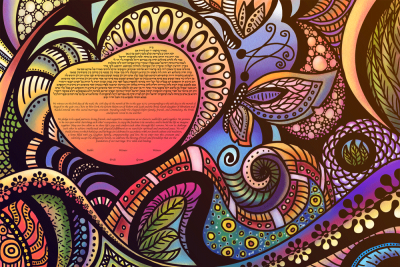 We love how all the different patterns come together in a beautiful cohesive work of art!